The narrative of Indianapolis' LGBT+ community is just beginning to be told in the mainstream. Long hidden behind closed doors, LGBT+ people have become increasingly visible in recent decades. The history of this community is the story of the struggle for civil rights and full inclusion in the fabric of our nation, of families and businesses, of churches and bars, and, ultimately, one of conflict and celebration. There are—and have been—many historically significant LGBT+ spaces, buildings, and establishments in Indianapolis. This tour will introduce you to a few of them. This LGBT+ History in Indianapolis tour represents only a small first step in telling this story. In 2014, Indiana Landmarks initiated a survey of historic places in Indianapolis connected with LGBT+ history. Also in 2014, the Indiana Historical Society began an initiative to collect and make accessible archival materials of Indiana's LGBT+ community. The first phase of this project is the Indianapolis and Central Indiana LGBT Oral History Project. If you know of anyone who should be interviewed or of materials that should be made available, please email emundell@indianahistory.org. Throughout this tour, the addition of the plus sign (+) after LGBT signifies all groups associated with the LGBT community. The Damien Center: AIDS In Indianapolis, 1981-? 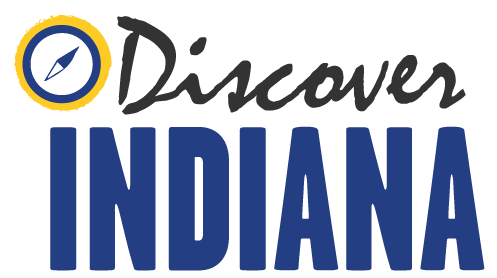 Discover Indiana gratefully acknowledges the financial support of Indiana Landmarks in the production of this tour.